Dr. Kannan Pugazhendi, a pupil of the Madras Medical College graduated in the year 1986. He was fortunate about a career of sports medicine and was assigned to travel with Indian cricket team in 1989 (west indies series) as their team physician. He pursued his Master of sports medicine in New South Wales University, Australia. 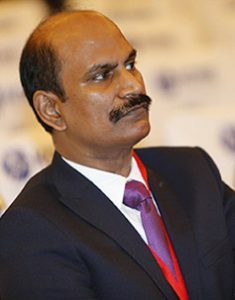 Dr.Kannan had been the Sports Physician of Altanta Olympics, 1996 and Indian hockey team Physician for World cup in 2002. South Asian Federation (SAF) games – He trained the entire Primary Care teams which consisted of Physicians, Surgeons and Nurses, to handle injuries both on field and off field. Dr. Kannan Pugazhendi worked as the Medical officer at the YMCA college of Physical education for 21 years. He also established Fitness Foundation Academy, a Sports Medicine Centre to cater the underprivileged athletic, sports population. The Compassion and impeccable sagacity impregnated in his aura lead to creating SPARRC Institute in 2006. Sports Performance Assessment Rehabilitation Research Counseling Institute spread all over India in scorching pace as a well established chain of sports medicine centre. Dr.Kannan Pugazhendi, a phenomenon in the field of Sports Medicine was an enigma to many of his friends and colleagues until he was noticed for his trailblazing concepts in the field of sports medicine. His congruence, steadfast belief, great practice in the field of Sports and Fitness proved him successful in his career. He has trained many health care professionals such as medical doctors, physiotherapists, physical education professionals, nutritionists, national and international athletes and sportsmen. He has penned numerous articles and series of Q and A columns with Indian Express, The Hindu and few other popular dailies and magazines. His benevolent thoughts and actions culminated into an educational Institute that emerged as Indian Institute of Sports Medicine offering ground breaking courses. Dr.Kannan Pugazhendi coined the term “Fitness Medicine” and created a new specialization Fitness Medicine and Lifestyle Diseases Management in 2017. He is the most sought after Sports Medicine Doctor of our nation who serves the underprivileged sporting population for more than three decades without charging his professional fee. He continues in contributing and uplifting Indian Sportsmanship untiringly. He started working for children with special needs through exercise intervention creating a platform for Paediatric Sports Medicine that resulted in an ongoing project called FAMES – Fitness Adaptation and Movement Education Services that consist a team of Developmental paediatrician, Speech therapists, Occupational therapists, Art therapists, Psychologists, Special educators and Physiotherapists. The out-door training manual created in 1968 for the Tamil Nadu police has been redesigned by him including the latest Training Techniques for the improvement of the Training Program matching world standards. He assisted the Officers Training Academy in 2002-03 in indentifying the cause for the Pelvic bone Stress Fracture of the women cadets; the suggestion of the shoes that could reduce the impact of the OCs was given by him, which was implemented the same year. He also created a Fitness Program for the personnel of the Central Industrial Security Force, Hyderabad. As a consultant at Kalakshetra, he helped create an innovative and unique Dance medicine curriculum for the students/dancers who were training to graduate as future Classical Dance instructors. Dr.Kannan Pugazhendi has been the Physician for the Chennai, Hyderabad, Delhi Marathons. He has extended continual support to Cancer Institute, Chennai in all their Awareness programs and events providing the necessary resource material with regards to the Importance of Exercise and Fitness in preventing Cancer. He conducted a Chennai city wide Marathon – Race Against Cancer in 2014 and the Youth Health Mela alongside Cancer Institute to spread awareness amongst youth. He is also an elected Board member – Chief Minister’s Project SDAT for Preparation of Indian Athletes for Olympics 2016. Qualified Instructor of Brazilian Jujitsu and Kalaripayatu. Recipient of Various Awards of Excellence for his contributions to the society, in keeping people Healthy and Pain free through Non Invasive and Conservative Medical approaches in the field of Sports Medicine. Doctor has successfully designed a weight loss reality show (Ollibelly) in one of the South Indian private television channel (Star Vijay). Over 50 contestants participated and lost combined weight of 1000kgs in less than 3 months. Rural Sports Development and identifying young sports talent are the recent developments in his career. 3 Responses to "About Dr Kannan Pugazhendi"
Thanks for giving a consultation on 11/04/2019 inspite of your busy schedule. I was overwhelmed by your 2 minute assessment & reassuring me about me back to normal activity in 10 days, after physio. I was relieved that I didnt have to go under the knife as suggested by my doctors( no blame game). Its my 4th day after tx, & my pain has come from 7/10 to 2/10. I appreciate your team for their commitment, patient hearing & care. I trust you so much that in 10 days I shall be back working full swing( human nature). Your Midas touch shall continue to help more & more people suffering from undiagnosed pain. God bless you.